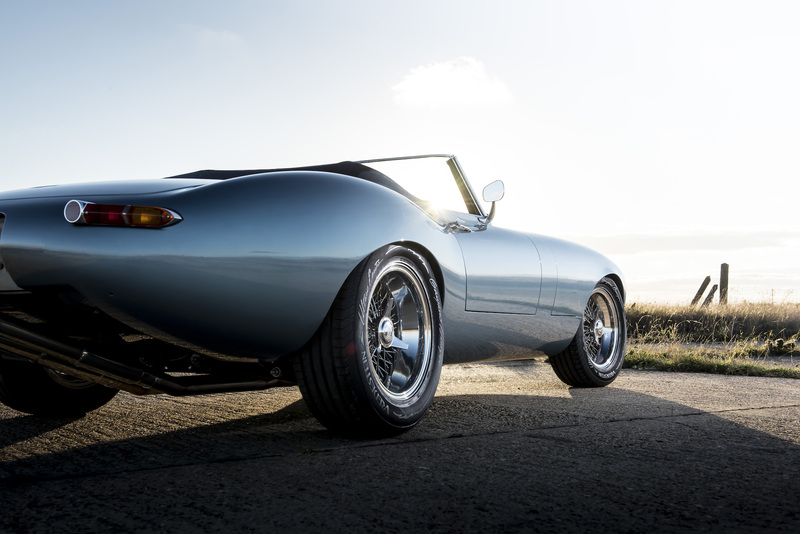 Eagle, the British E-Type specialist and restorer, has recently announced a new addition to its portfolio. 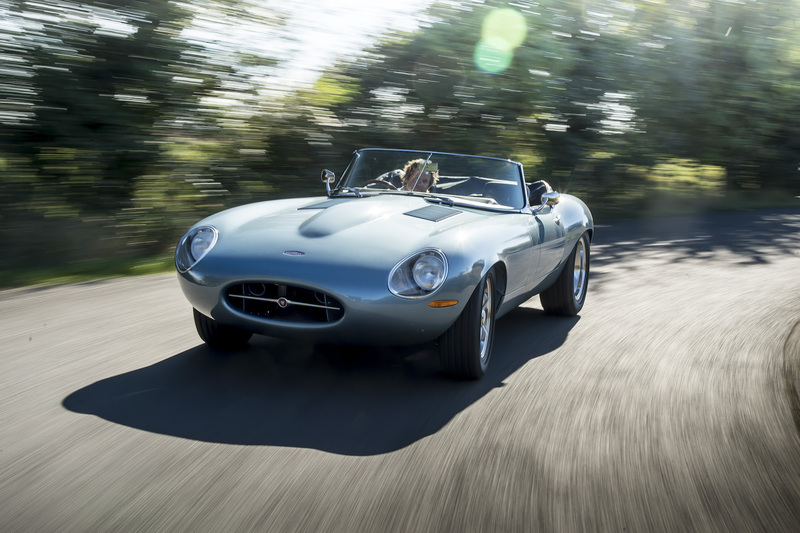 Dubbed the Spyder GT, the new model joins a lineup of other E-Type-based models, including the Eagle Speedster, Eagle E-Type, and the Eagle Low Drag GT. 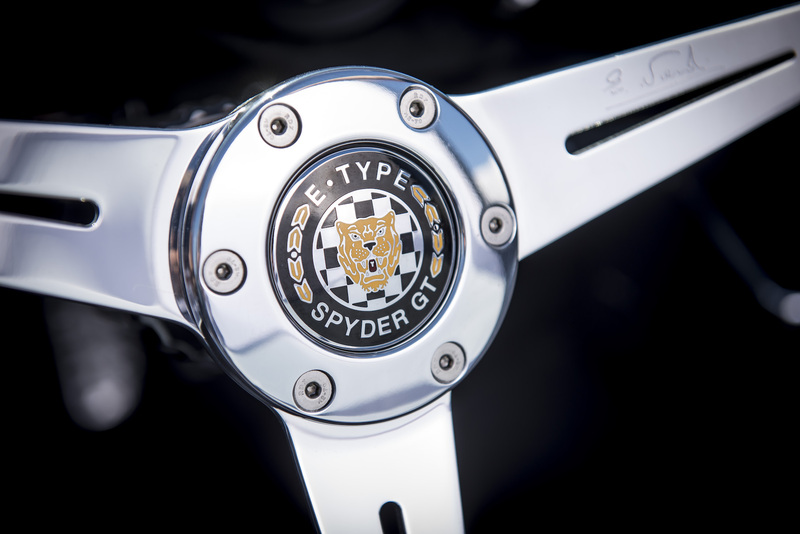 Like all other Eagle models, the Spyder GT starts life as an unrestored E-Type and then undergoes an extensive restoration and modification process that includes a revised aluminum monocoque with a lowered floor pan, deeper sills, and wider wheel arches to accommodate its more modern 16" wheels. 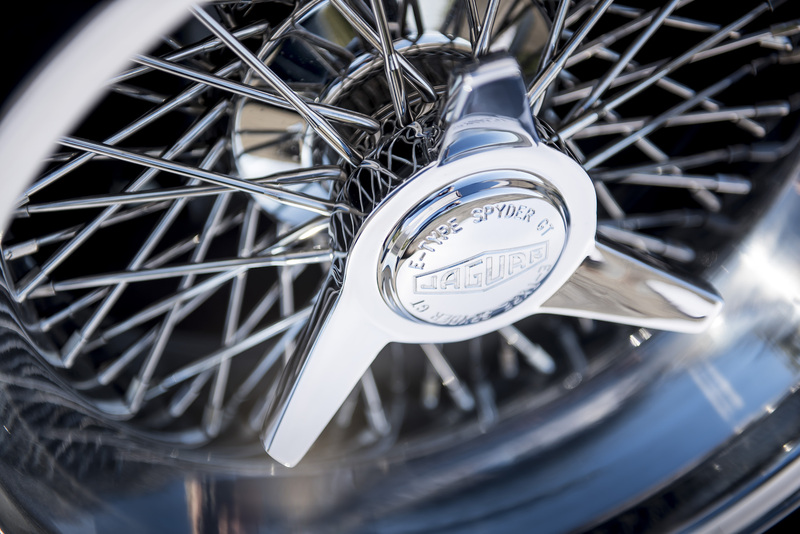 Eagle's focus is on maintaining lightness—the car tips that scales at roughly 2,200 pounds—but the interior isn't offensively spartan. 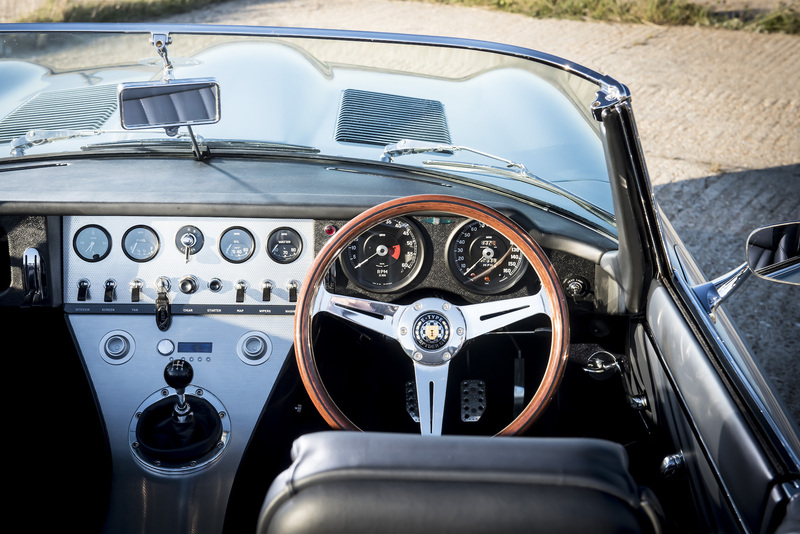 With its period-correct Smiths instruments, wooden steering wheel, and modern-looking center console, it looks like a lovely place to be—not to mention, its knock-off wire wheels are similarly charming. It's not just its looks that Eagle has pored over, though. 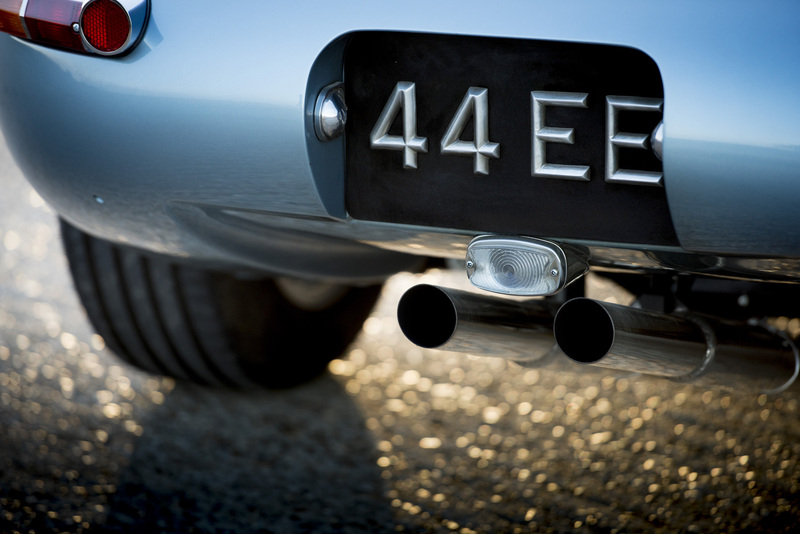 The engine, gearbox, and chassis are all-new and deliver stout performance figures. 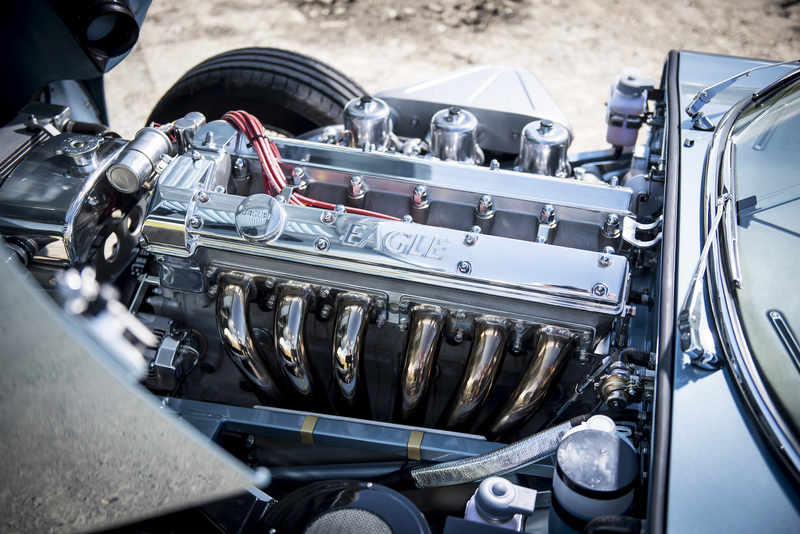 The engine is a naturally smooth yet torquey 4.7 liter inline-six producing 330bhp and 340 lb-ft of torque, complete with a billet crankshaft, aluminum block, and SU carbs, which look absolutely ace. A carbon fiber intake plenum helps achieve a ram-air effect, too. 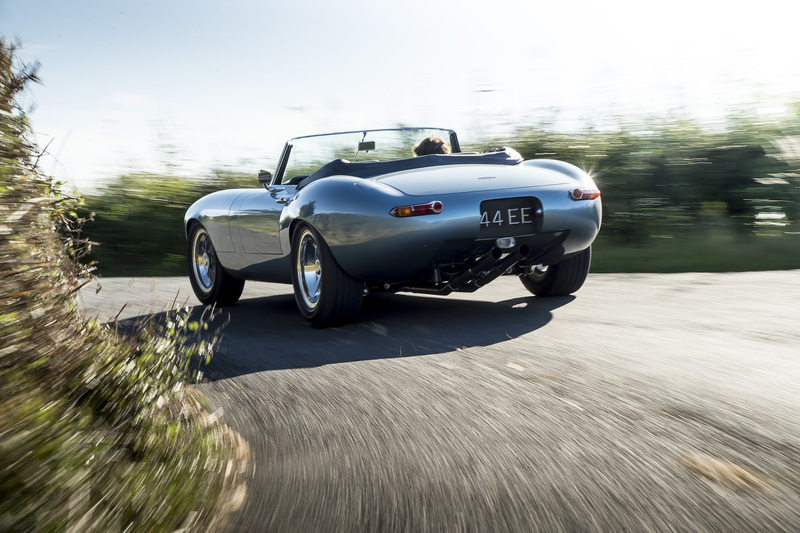 Power goes through a five-speed transmission to the rear wheels and its limited slip differential will help you power out of corners quickly—and easily sideways, if you so desire. The adjustable Ohlins dampers will keep you planted, either way, and its AP Racing brakes will help you stop in a modern fashion. 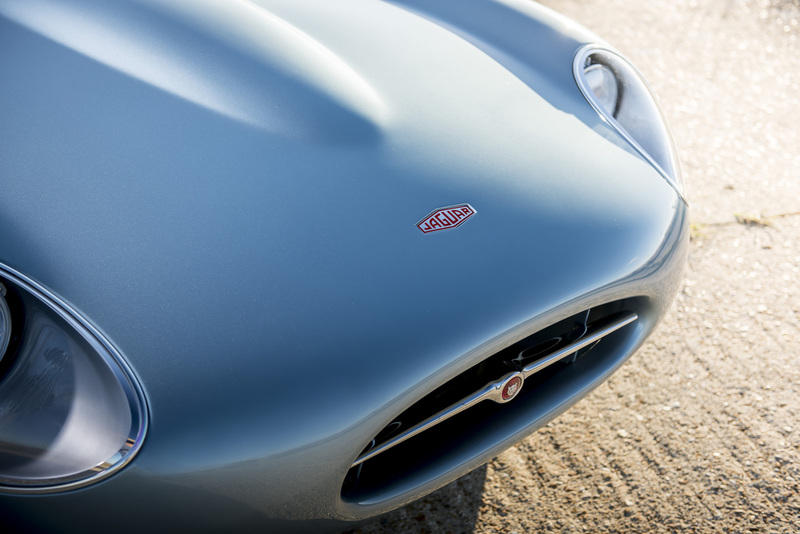 More than 4,000 hours go into each build—that's Singer territory—but 0-60mph in under 5 seconds and a top speed of 170mph in a car this strikingly pretty make its asking price of roughly $875,000 a little easier to swallow. Or not.